Cat has a full plate at her Aspen Hills Warm Springs Resort, as a group of aspiring cozy mystery authors arrives for a writers retreat. 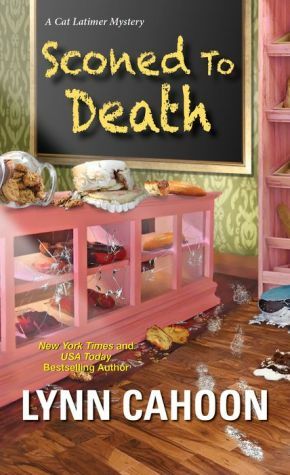 So when baker Dee Dee Meyer stirs up trouble by filing a false complaint with the health inspector against the B&B—all because she insists Cat's best friend Shauna stole her recipes—Cat marches into the shop to confront her. But Dee Dee's about to have her own batch of trouble. Greyson Finn—a celebrity chef and, until today, one of Denver's most eligible bachelors—has been found dead in her bakery. Cat's uncle Pete, who happens to be the chief of police, warns her not to engage in any half-baked sleuthing. But as her curiosity rises, Cat's determined to discover who served the chef his just desserts—before the killer takes a powder . . .